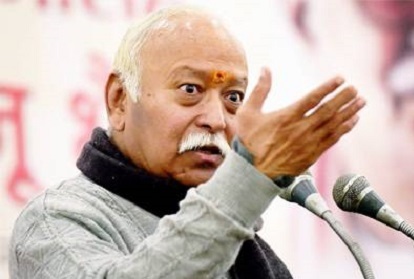 NEW DELHI: In a bid to improve its image in the society, Rashtriya Swayamsevak Sangh (RSS) has been on a year-long drive and has contacted 40,000 professions in this period. RSS held meetings with hundreds of journalists in several states and those who wrote positive stories about RSS, were felicitated, reports Dainik Bhaskar. The paper mentions that this was the first time when RSS conducted the exercise on such a large-scale. "In all, 1300 journalists were felicitated. said an internal report of the RSS", terms Bhaskar. Also, four lakh new families were contacted and students in 112 colleges across 27 districts in central India, were approached. A central committee has also been set up to ensure that Dalits are brought closer to the RSS. "The invitation to former President Pranab Mukherjee is also part of this long exercise that aims at increasing the acceptability of Sangh among citizens", says the paper. Mukherjee's accepting the invitation to address Sangh office-bearers, hasn't gone down well with the Congress, however, he is all set to make the trip to Nagpur.